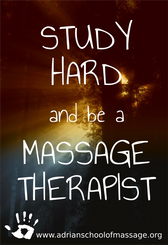 Please submit an essay of at least 150 words stating why you would like to attend Adrian School of Massage and/or become a massage therapist. By checking here, I submit that the attached information is complete and true to the best of my knowledge. Thank you for submitting your enrollment form! We look forward to contacting you soon! A tuition down payment of at least $500 is necessary to hold your spot in a program class. Select "Buy Now" to make your First Tuition Payment of $500. We review applications for enrollment in the order they were received. To complete your application, please submit your enrollment form, $500 tuition payment, and have a copy of your official transcripts sent or delivered to our office. If the class for which you applied is full, you will receive priority in the next available class. If your application is denied, you will be refunded any tuition paid with the exclusion of $25 remaining non-refundable to cover the processing of your application. ASM reserves the right to cancel or postpone a class if it does not meet our minimum attendance requirement. Applications for enrollment may be accepted up until the first day of ASM’s classes for a program year (orientation not included). 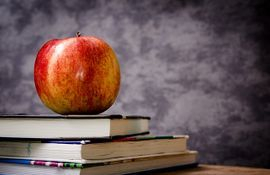 -We ask that all students have completed (or be in the process of completing) their high school diploma, GED, or an equivalent diploma by the start of class.